Forside » Kanaliseringer » Ærkeengel Michael » A Message of Hope and Heart Opening and a Bright New Day! A Message of Hope and Heart Opening and a Bright New Day! 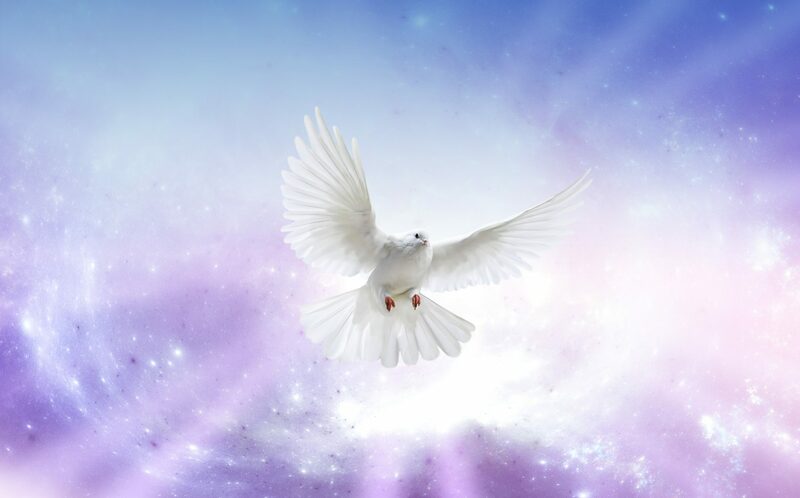 At Archangel Michael’s behest, Earthbound Star Soul shares this uplifting gem from his personal reading with Linda on July 17, 2018. Archangel Michael: Greetings! I am Michael. AAM: Welcome, dearest friend, ally, brother, and I welcome you to this Council and to this circle of service to our beloved Mother. The rate of change upon your planet and within the lives and hearts, the existence, of every person, every realm, every situation is so rapid, so deep, so intense that it can hardly be tracked! The changes are pervasive, and whether they are acknowledged or not makes no difference at all because this is the energy that is sweeping each and every one of you – the entire planet. And if there is one event that is occurring – and occurring not in some distant future but in your definition of right now – it is the heart opening. Since when, in what reality, would this ever be of love? And where does forgiveness and compassion and the understanding of your own… and I mean “the own” collective… their injuries, their missteps? This heart opening is essential to the forward thrust and to the dramatic changes that are underway. If there is a singular event that we would ask all humans to pay attention to, this would be it! It would be this grand flowering. You may think of it as ascension or ascending; you may think of it as the beginning of enlightenment; you may think of it as interdimensionality. It matters not. What it is about is changing from the old, which so many have clung to, to the new which is of love. And there are many descriptions inside that love – yes, such as peace and humility and compassion and forgiveness and prudence. You all came equipped. You all came with the essential awareness, willingness, preparedness to undergo this heart opening, this shift – not away from who you are but into the fullness, the grace, the beauty of who you really are. This is underway – and we will not slow it down – and it is already moving at the speed of love! So I ask you to share this, at least this first part. EBSS: Oh, I figured that! AAM: Now, why do I tell you this, other than the fact that you are a dear, dear friend? I tell you this because this is also where the healing lies: in the love, literally, as if it is a silk purse. Inside that silk purse lies the healing, lies the reconstitution, lies the compassion and the ability to let go enough for the healing to occur. Yes, your healing is underway and, yes, your healing has been slow. You have this expression “slow as molasses in January” – well, your healing has been even slower! And yes, the acupuncture and the cupping has most certainly helped and will continue to help, but it is also this shift in the paradigm of what it means to be human. When the Mother designed – yes, of course, your unique, beautiful self – but also when She designed, shall we say, the human model, the prototype [chuckles], it was not meant to suffer pain, to become debilitated and decrepit. It was intended to be a vessel of unique beauty, just like all those works of art that you are so happily gazing at, that give you such joy. Every human being is intended to be a work of art, a vessel of sacred beauty! In all things, even for those that believe themselves to be debilitated, gnarled, bent, crooked, there is a beauty and it isn’t simply a beauty of survival. It is a beauty that tells the tale of patience and prudence and endurance and compassion, determination and also commitment – commitment to the Mother and commitment to love. But in the new paradigm, what you think of as dis-ease disappears. No, it does not disappear overnight because there are many transitions in place, but basically what you are seeing is the disappearance of what you have come to think of as the old diseases and the new ones. Now, how and why does that happen? Think of pharma-industry, and also think of Gaia who has always provided absolutely everything that is needed to right any condition. Often, someone will get a disease or have a disease – which is usually mentally and emotionally based – but they get a disease, and part of the under-purpose of that is that they will reconnect with Gaia and receive the healing of Gaia. You, yourself, with your strong emotional/spiritual ties to the mountains know the power of that healing. But what of these grand pharma companies? When you have this heart opening of billions and billions of people – and we are just using pharma as an example, by the way – when you have this heart opening, the desire, the modus operandi, the operating philosophy of ensuring that disease continues in order to make billions of dollars, changes. It is a grand mistake or misunderstanding to believe that everyone who works in pharma is malign; that is of course not true. Are there some greedy individuals abusing authority in positions of power? Yes, but they are not exempt from this heart opening; they are not exempt from this blossoming of love. So I say this to you because it is a bright new day, and I wish you to share this message of hope with many! This channeled material is protected by copyright. We invite you to share it on condition that it is used in its entirety, that no alteration is made, that it is free of charge, and that the copyright notice, channel credit, website link and this statement are posted.